Moo.com are another company that continue to inspire us here at the happy startup school HQ. Here’s a business that devotes itself to great company culture alongside remarkable customer service. Two components that undoubtedly lead to its rapid international growth. For those that haven’t heard of Moo (very few of you I expect) they help people like us print innovative business cards, postcards and minicards, making it easier to share information about ourselves in the business (or real) world. 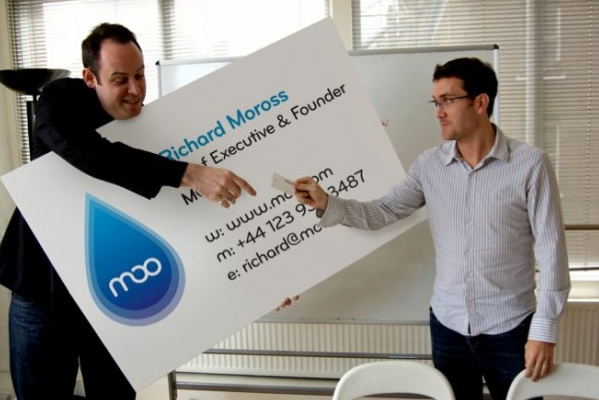 Richard Moross, CEO & founder of Moo.com set up base in 2004 with very little experience as an entrepreneur or the printing industry. His passion and drive in growing MOO as a business trumped any need for experience. In the early startup stages, Moo (then under the name ‘Pleasure Cards’) suffered a series of set-backs partly due to branding, time and money complications. Moo shortly after, joined forces with avatar company Wee World making £2m, securing fantastic investors globally. Today, Moo.com is in partnership with Flickr, Etsy, YouTube and LinkedIn, owing itself to 70% of its revenues being non-UK. 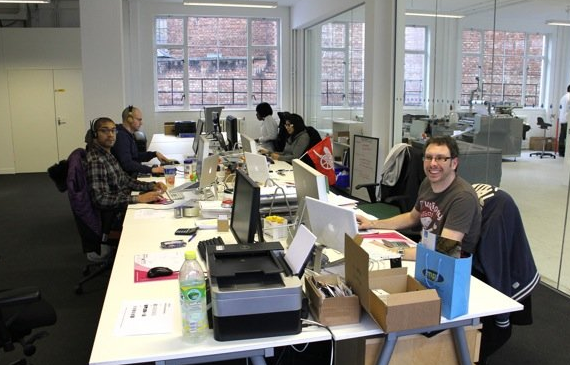 Moo began as a one man startup, but Moo today is around 85 employees based in the UK and US. Richard’s vision was to create a company he loved to work for and in; company culture and great employees were number one. He sees employees at the forefront of Moo. Richard creates a great culture in different ways. Firstly, every employee gets a share in the company so if there were ever any complications, they can rest assured and secure financially. Richard sees real importance in work environments too. Take a look at the London headquarters in Shoreditch; an environment employees actually want to work in, increasing work happiness. As a lot may learn, hiring the wrong person can be detrimental for the culture of a startup. Using this motto makes recruitment a process of hiring a person that’s spotted as opposed to desperation. Moo look for unconventional employees; 20% of employees are hired from overseas, lending itself to the global vision. The Moo crew are a social bunch working in a very open, collaborative and meritocratic way similar to how they work with customers. When it comes down to marketing and reaching out to a customer base, in today’s world conversation beats shouting. Richard gave all Moo employees access to @overheardatmoo, (the company twitter account) that began as a way of documenting humorous office discussion. If somebody overheard a funny comment in the office, they would tweet it. It began to show customers what the people in the company were about – building personal relationships, demonstrating that moo are not just a faceless big corporation. Not your average direct marketing, but through humour and word of mouth, it promoted the brand. The beauty in business card printing, is that they are inherently viral, they market themselves. Moo’s aim is to build ‘remarkable’ products that sell themselves. The tiny little details in branding is what creates brilliant customer experience that gets people talking, spreading the word of Moo. Little Moo is a welcoming robot that makes automated emails more fun upon signup. The anthropomorphic character gives personalisation to the interactions and has fast become a mascot for the business! Moo allows customers to print a different image on each business card. They call this “printfinity” giving you your very own portfolio in your pocket. Moo create simple memorable packaging when delivering orders. Yay! Moo stickers have become somewhat of a phenomenon spreading infectious enthusiasm in every delivery. What is a happy startup?